Eric’s Note: I am truly excited to have this guest post by Danny Santos, who is truly passionate about shooting portraits in the streets. I was fascinated and captivated by his work, and I asked him to write a guest post about how he shoots street portraits. Enjoy! Danny: Shooting street portraits of strangers is a very daunting task. Often when you see a stranger you want to photograph, you find yourself between a rock and a hard place: you can’t seem to ask them for their photo, yet you know you just have to. Here are a few tips that may help you get over that hill. 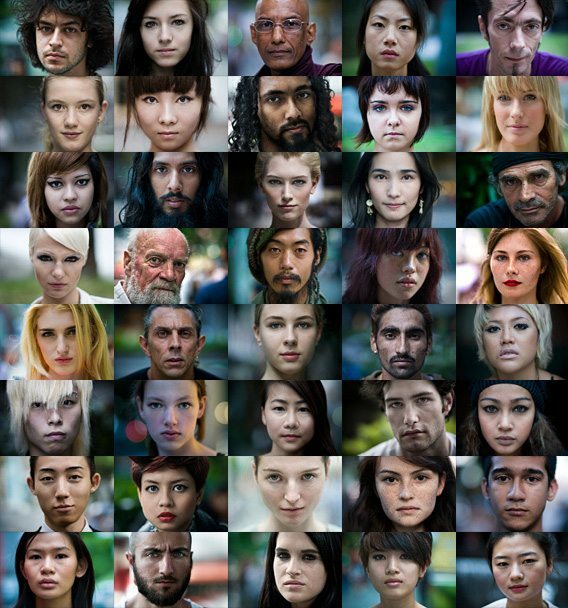 It won’t make it easy, but it may give you the push to start creating your own set of portraits of strangers. There’s no magic formula to get rid of the fear. In fact, there’s a big chance that it will never go away. But that shouldn’t stop you from doing what you want to do. Don’t try to get rid it. Instead, try to shoot in spite of it. When I was doing my strangers project, I was scared shitless most of the time. In fact, the fear I felt when I shot my 7th stranger was exactly the same when I shot my 100th stranger. Yup, my hands were shaking in both instances, and in most other instances between them. But I guarantee you; the struggle to shoot through the fear will all be worth it as you start acquiring one keeper shot after another. Then you’ll want to shoot more. “Is it ok if I take your picture?” Short, sweet, and direct to the point. Don’t start with a long explanation of what you want to do and why you’re doing it… this has the potential to intimidate your subject. If they’re curious, they’ll ask “what for?” Otherwise , they’ll just say yes or no. This saves time and effort for both you and the subject. When they do ask “what for?” sincerity will take you a long way. No need to come up with bogus scripted excuses. The last thing you want from the subject is a tinge of doubt or apprehension. Just tell them exactly what you’re doing: whether you’re working on a personal project, or just practicing your photography skills. Just be totally honest about the whole thing. You’d be surprised how many people would be supportive of you. They come in different shapes and sizes. Some people would be shy and polite when they say ‘no.’ Sometimes, they would even smile and say ‘thank you.’ But others are just downright nasty… as if you were some outcast to society. There’s no denying that this kind of rejection will stick, but only for a short while. Before you know it, you’ll be back in your feet looking for your next keeper. You need to accept the fact that rejection is an inevitable part of this whole process. But the exhilarating feeling of getting a series of keepers will more than make up for all the rejections you will get. This isn’t absolutely necessary, but it sure helps. Bring a business card along that states your name, contact details, and the website address where you intend to post the portraits. This gives the subject a sense of security that their photo is not being taken by a shady character with malicious intent. 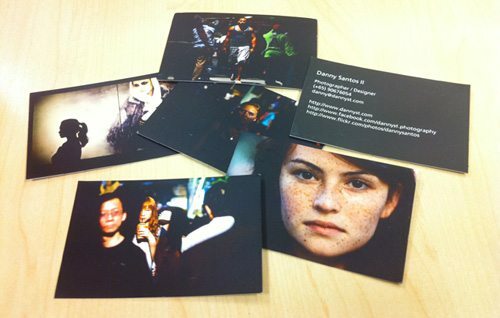 I always bring Moo cards that has my contact details and a sample photo at the back. It’s professionally printed, and it looks cool. One of the best things about shooting street portraits is getting positive feedback from the subjects after they saw your site. Now that we’ve gone through some quick tips on how to approach strangers, let’s talk about the project itself. Getting a stranger to say ‘yes’ is only half the battle. Getting a good portrait, and series of good portraits, is the next challenge. You know… the smile that you’ve smiled a thousand times whenever you’re in front of the camera. It’s almost always the automatic reaction. You may want to avoid this because more often than not, the snapshot smile looks contrived. You can either ask them not to smile… or if you really want that smile, make them laugh and capture the moment. The point is to capture the subject in their natural state. It makes for a better portrait. As you walk in the streets looking for a subject to photograph, always be aware of where the light is coming from. This way, when you encounter a subject, you know exactly how to quickly position him to get the best light. I’ve made the mistake of disregarding the light so many times because I was too excited that the subject said ‘yes’, I ended up with a portrait that should have been better. If you’re creating a series of street portraits, the set will be more interesting and meaningful if there’s a unifying factor amongst them. It can be as simple as consistent framing or lighting, or as profound as having a general human theme. It has to work as a series, rather than just having good individual keepers put together. Rarely does a street portrait work when the subject is not looking at the camera. 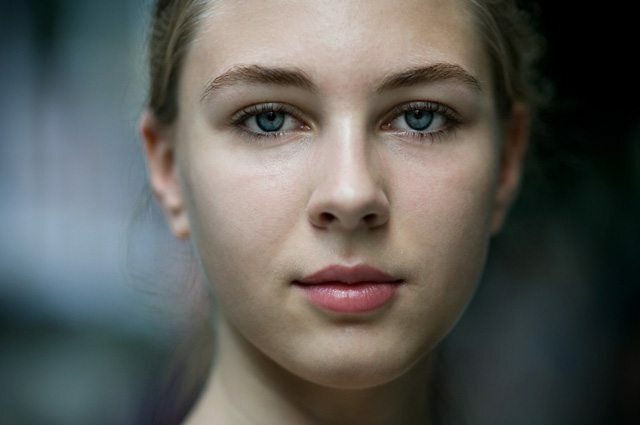 The viewer needs to feel an instant connection with the subject, and the most effective way is when the viewer feels like the subject is looking intently at him. Make sure to check out more of Danny’s work on his blog and Flickr! Don’t forget to add him on Facebook and Twitter as well! So how do you approach people when you want to take a street portrait? Let us know your 2 cents and also give Danny some love below for this great article by leaving a comment below!